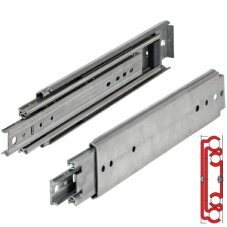 Please Note: If we are out of stock on this item it may take Hettich 3-4 weeks to manufacture & ship this to us. 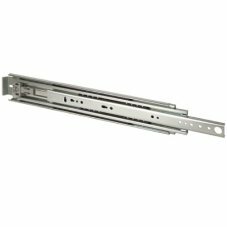 Hettich KA 3338 36" Locking Drawer Slides, Heavy Duty. Locks in both the closed and open positions. Great for mobile applications like RV's, utility truck tool boxes, fire trucks, ambulances, and other mobile applications. Please read the specification sheet for details and weight ratings. 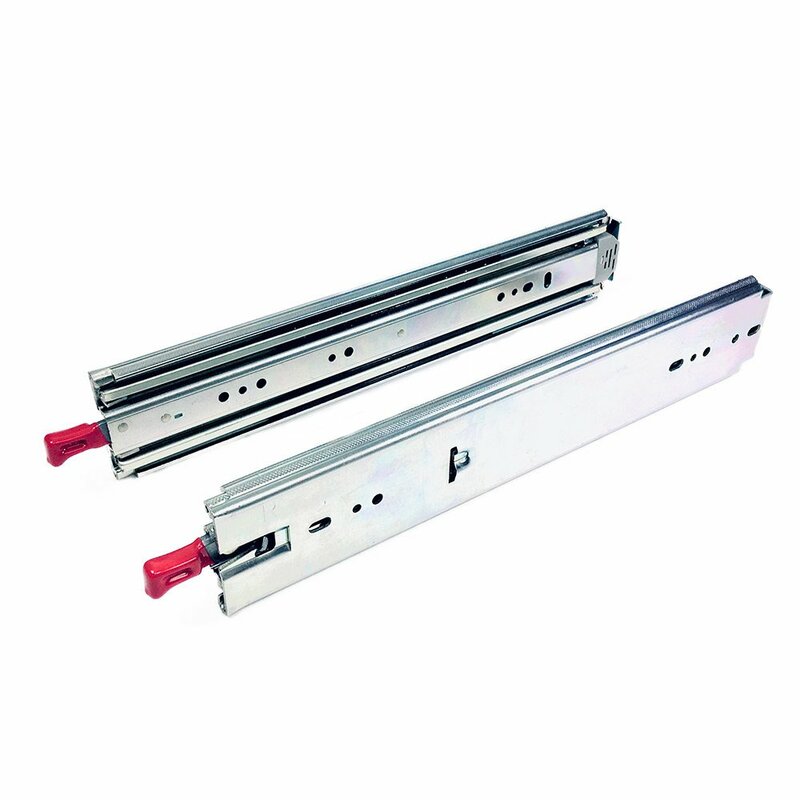 Telescoping precision full extension drawer slides for high loads, up to 500 lb. capacity, with cushioned in and out stops. Chromated steel. Runner and ball race form a single non-detachable unit. Smooth action and high side stability through precision slide. Ball spacers made of steel for higher load and better impact resistance. Grade 200 hardened steel ball bearings for long life, with USDA approved food grade grease. PRICE IS PER PAIR. Screws not included. 3/4" Installation Width - 3" Height. Tested Weight Cap. 348 lbs. @ 10,000 cycles - 226 lbs. @ 75,000 cycles. 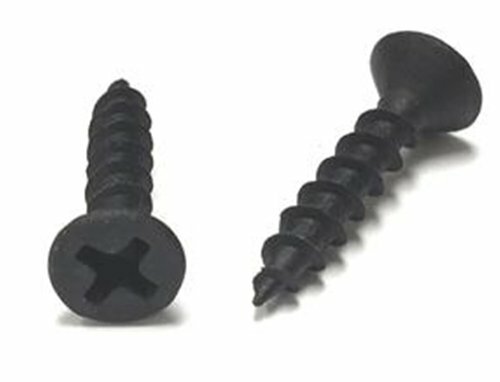 Cabinet member requires #10 Flat head countersunk screw. Drawer member requires #10 pan head screw. 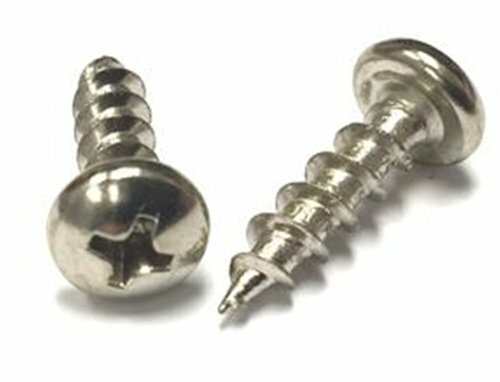 Screw length will vary depending on application. 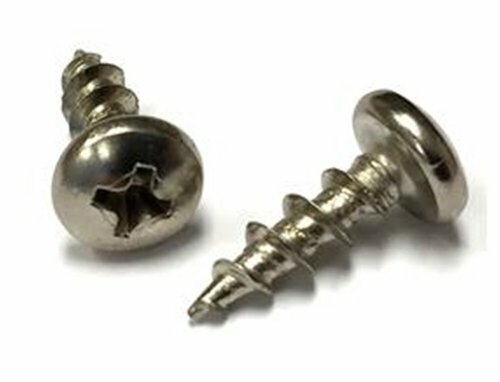 Use all screw holes to achieve full load rating. 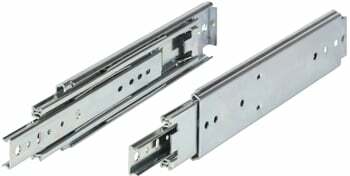 Manufactured by Hettich America, in Buford, GA, USA.